March 5, 2018 — dealerTEL, the only automotive technology provider that offers a 100% capture rate of inbound and outbound calls, today announced the launch of their communication suite, helping dealers retain missed calls and reign in lost opportunities. dealerTel is the only communication platform that closes the loop of missed calls by bringing mobile and desk phones together seamlessly and adding all of the information to the dealership’s CRM system, automatically. By bringing all calls under the umbrella of the company’s communication system, they can be tracked, analyzed, and reported on, increasing many dealerships logged calls by more than 10% or more. “Missed calls equal missed opportunities. If a sales department is missing 4%-5% of calls each month with an average profit of $1500, an increase of even ten percent of logged calls becomes very significant to that dealership,” said Steven Barnett, CEO of dealerTel. dealerTEL offers dealerships a full communication suite, with networking services, mobile solutions, and hosted VOIP offered, as well as call recording and analytics and CRM integration add-on services. The result is a dealership communications solution that guarantees that 100% of dealership mobile calls and desk phone calls can be recorded and published to the dealership’s CRM provider. With dealerTEL the dealership owns every telephone number its customers and employees use, regardless of where the call originated. In addition, dealers are able to use dealerTEL’s customizable wall boards to track all incoming and outgoing call information, as well as access analytics and reports for key customer insights, ad campaign management, and online and offline lead tracking. The dealerTEL communication suite is available now. 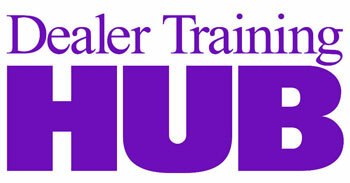 To find out more or schedule a demonstration, please visit www.dealertel.com. dealerTEL provides Automobile Dealers a complete communications suite including integrated Hosted VoIP (Desk Phones), Nationwide Mobile (Cellular), High Speed Internet, Call recording, Speech Analytics, CRM Integration and TruSafe Private Data Centers for the ultimate in connectivity and security. Our technology allows dealers to finally “marry” mobile phones with our Hosted VoIP phone system into a seamless cost effective communications environment. Visit www.dealertel.com to find out more.